Plane accidents and crashes can take up a lot of media attention. Although rare, the effects of such accidents can be severe and lead to death. When facing the errors of the airline industry, making sure that there is legal help to navigate the complex system of law and liability is vital. When injured in an airline accident or attempting to recover for a loved one that died too young, an advocate for your family is a major step taken to ensure the best possible result. Going through severe injury or the death of a loved one is not easy in the slightest. Having a helping hand that is specialized in airline accidents and their consequences can make sure that your family is not left in the lurch. PI Warriors attorneys are trained in airline regulations and air traffic laws, making them number one choice for representation for many consumers across the nation and across the pond. Many of the Personal Injury Warriors have handled similar cases, and they understand what the airline corporations and their insurance carriers may try to do to avoid compensating the victims of an airline disaster. Some airline accidents can be relatively simple, from expired food causing poisoning to injury in a landing to a surly, irrational airline attendant causing a fight. However, some are true catastrophes that can take dozens or hundreds of lives. In either case, the airline has a responsibility to its passengers to keep them safe and secure from destination to destination. 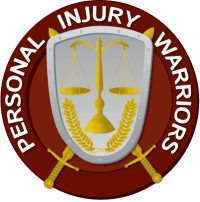 Most PI Warriors members work on a contingency basis– that means we don’t take any money unless we recover for you– to determine the liability in the accident, and how best to proceed. Many of them can arrange medical treatment, or negotiate with the insurance company to make sure that treatment or funeral expenses are covered. The aftermath of an airline accident can be a very difficult time. Make sure that you are not going through it alone. Contact us for more information or for a free consultation today.